This just in... The World Bank's special envoy to Haiti voiced concern about how the government was using Venezuela's Petrocaribe funds... Salim Succar, special adviser to Haitian Prime Minister Laurent Lamothe says the envoy's comments are "out of touch and in complete disregard of what this administration is and has been doing..."
"So far, transparency in the use of Petrocaribe funds is minimal"
"... The special envoy, who has never requested any documents regarding use of Petrocaribe funds... 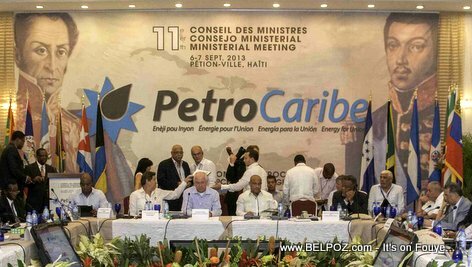 The donor country, Venezuela just completed an audit that resulted in finding Haiti's management of that fund as being one of the most transparent of all Petrocaribe member countries..."